As I’ve blogged before, October 16th is a meaningful day for me. It’s the birthday of my nephew Matthew, who by the way, is engaged to get married this December and is now a full-blown pastor in Washington, D.C.. But it was also the birthday of my long-time friend, mentor and radio buddy, Larry Nelson. 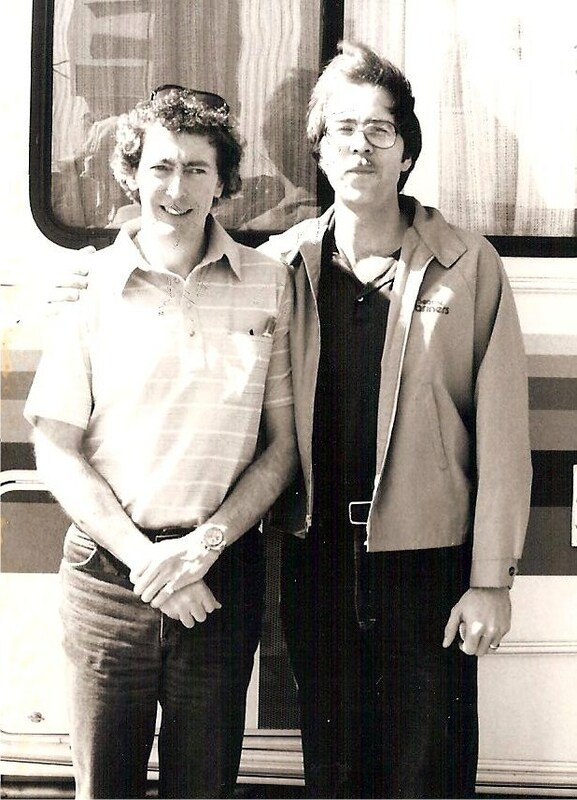 We lost Lar five years ago, but every October 16th, I’m reminded of those early days in my radio career when I was his producer and the two of us rewrote a little bit of KOMO radio history, from some of the bits we did on the air to the first-ever Husky tailgate parties. But one of the classic Larry Nelson stories happened before I got there. I heard it repeated often during my tenure there, mostly by people other than Larry. It was the 1970’s and Larry Nelson had been given the keys to the KOMO Radio morning show. His traffic reporter was a guy named Ted Garlatz. The two spent every morning together, passing along information and, with Ted in a plane, they were able to get eye-witness accounts of traffic. Ted would fly over the situation, pass along to Larry on the 2-way radio where he was and what he going to report on, and then when it was time for a traffic report, Ted would give details on the backups. Notice that middle step–the part where Larry and Ted conversed on the 2-way radio. That’s when Ted might say, “I hear there’s a problem up on I-5 around the county line,” and then he would fly that direction. Well, back in those days, if you wanted to listen in on those conversations, all you would need is a scanner. When word got out that some of their competitors were listening to Ted’s banter with Larry and stealing his information for their station, they decided it was time for payback. So, one morning while talking on the 2-way, Ted pretended he was doing an actual report…and gave details about a giant tanker spill on the 520 bridge. Ted reported the tanker had dumped its entire cargo all over the bridge and traffic was just a mess. All the information-stealing radio stations in town sprung into action, with breaking news reports of this commuter nightmare. “There are fish everywhere….”, “Studies show that fish oil is bad for your tires”, etc. Everyone in town apparently was making sure they were part of this breaking news EXCEPT for KOMO….because, after all, it didn’t exist. Ted and Larry had the last laugh. After that, stations were a little more careful about stealing information from them. I heard that one station even threatened legal action, but who was stealing from whom? Love that story! Lar was awesome.